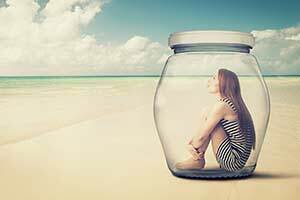 Are You Feeling Trapped In Life? Ever wondered if you're happy with life? Or feeling trapped? Find out here! By answering these 29 simple questions, you'll find out if you're feeling trapped in life! Could it be your job, or lack thereof? How about your relationship, lack of hobbies or alone time, or even...general disappointment? Are you feeling trapped in life? Find out right here!